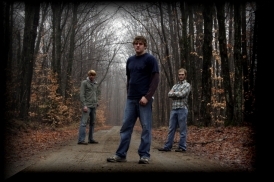 We are HeathCliff, an original Rock/Alternative band from Upstate New York, Consisting of 3 Members; Matt, Brad and Josh. HeathCliff combines idealistic guitar riffs and solid bass melodies into their own unique rock genre. Classic Song structures and revolutionary rhythms defines the sound of HeathCliff. Matt and Brad have been playing together for 3 years, while Josh has recently joined to add a driving bass to the music. A 5 song demo is out now, with more on the way. As a band, HeathCliff tries to keep Rock alive, while experimenting with the new ways of the digital music industry.